Below is a comprehensive list of hotels in Hoghton. 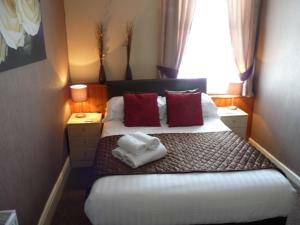 Use the sort links to refine your search or to find featured accommodation in Hoghton. Many of our hotels in Hoghton feature no booking fees and best price guarantee when booked through the Pictures of England website. To list your hotel in Hoghton, click here. Offering modern rooms with plasma TVs, a free internet café, and freshly cooked breakfasts, Jesmond Dene Hotel is 5 minutes’ walk from Blackpool Pl.. Situated a few steps from Blackpool Promenade, this family-friendly hotel has free Wi-Fi, free parking, and a well-stocked bar. The town’s seafront .. Featuring free WiFi throughout the property, The Manor House Hotel offers accommodation in Blackpool, 1 km from Central Pier. Guests can enjoy the on-.. 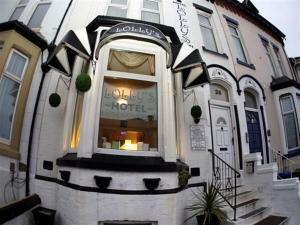 Situated less than a mile from the lively Blackpool town centre, Lolly’s Hotel boasts free on-site parking, a bar and a restaurant. The Blackpool To.. The Fairview Hotel is located in the heart of Blackpool, just 1 minute walk from the Promenade. It offers bed and breakfast accommodation, a fully lic..
Guesthouse The Royale Hotel offers couples-only accommodation in Blackpool. Guests can enjoy the on-site bar. Every room has a flat-screen TV. Some r.. Situated halfway between Blackpool Pleasure Beach and Blackpool Tower, The Strathdon offers free Wi-Fi throughout and a bar. It is just 150 metres fro..
Just 8 minutes’ walk from the Blackpool Tower, Memphis Hotel includes an Elvis-themed bar celebrating the rock and roll music of the 50s and 60s. Th.. 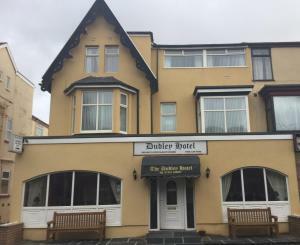 Located just 2 minutes’ walk from Blackpool promenade, The Dudley Hotel offers bed and breakfast accommodation, free WiFi throughout and free parkin.. Located in Central Blackpool, Wellington Hotel offers free WiFi throughout. 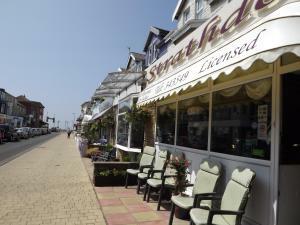 The property is just 3 minutes' walk from the Promenade and 5 minutes' wal..
Set in the Blackpool Centre district in Blackpool, 900 metres from Central Pier, the kenley hotel features free WiFi access and private parking. Guest..
Offering modern, comfortable accommodation, The Woodfield Hotel is located less than 150 metres from Blackpool Promenade and perfectly located for gue.. 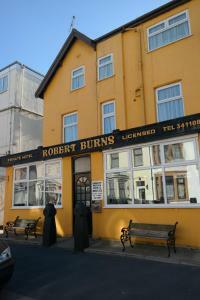 Featuring free WiFi, Robert Burns is set in Blackpool, 800 metres from Central Pier. Guests can enjoy the on-site bar. Every room is equipped with a ..
Less than a mile from the Iconic Blackpool Tower, Fairhaven Hotel is a family run bed and breakfast with free on-site parking and free Wi-Fi. The ful.. 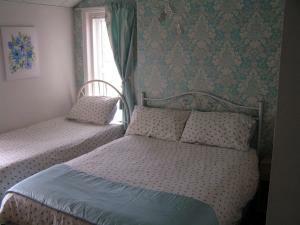 The Caroldene in Blackpool offers comfortable bed and breakfast accommodation a short walk from the Pleasure Beach, zoo and Blackpool Tower. There is ..
An 8-minute walk from the Winter Gardens and Blackpool Tower, the Cumbrian Hotel offers free Wi-Fi, parking and a full English breakfast. 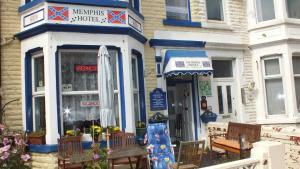 This guest h..
By The Seaside offers accommodation in Blackpool. Guests can enjoy the on-site bar. The rooms include a flat-screen TV. Some units include a seating .. Situated in central Blackpool, Melrose Hotel is just 5 minutes' walk from the town centre and the famous Blackpool Tower is half a mile away. Free Wi-..